The Maslach Burnout Toolkit™ combines the Maslach Burnout Inventory™ (MBI) and Areas of Worklife Survey (AWS) to measure burnout with worklife context. Recognized as the leading measure of burnout, the Maslach Burnout Inventory (MBI) is validated by the extensive research that has been conducted in the more than 35 years since its initial publication. The Areas of Worklife Survey (AWS) was created to assess employees' perceptions of worksetting qualities that play a role in whether they experience work engagement or burnout. It is a companion piece to the Maslach Burnout Inventory (MBI). The AWS is a short questionnaire with demonstrated reliability and validity across a variety of occupational settings. It produces a profile of scores that permit users to identify key areas of strength or weakness in their organizational settings. It applies to small workgroups or summary profiles across large organizations. This form includes the AWS form and the MBI-Human Services Survey for Medical Personnel, a special form of the MBI-HSS adapted for medical personnel. 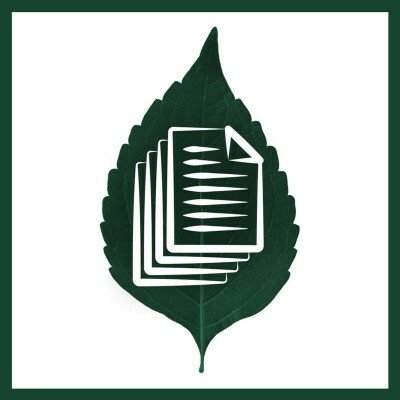 Maslach Burnout Toolkit™ and Maslach Burnout Inventory™ are trademarks of Mind Garden, Inc.
Includes one manual each for the AWS and MBI 4th Edition. Special package pricing of $75. Includes details on reliability, validity, scoring, etc. and a review-only copy of the AWS and the MBI forms. PDFs are not refundable. Minimum purchase of 50. 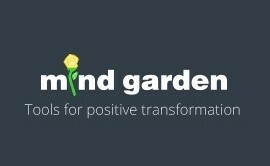 Allows you to administer both the AWS and the MBI as an online survey via a non-Mind Garden survey system. The downloadable PDF files include one copy of the AWS and MBI (all forms), scoring keys, and permission to administer the AWS and the MBI for up to the quantity purchased. This product is non-refundable. Minimum purchase of 50. Allows you to administer both the AWS and the MBI via a paper and pencil survey. The downloadable PDF files include one copy of the AWS and MBI (all forms), scoring keys, and permission to administer the AWS and the MBI for up to the quantity purchased. This product is non-refundable. Purpose: Combine the AWS and MBI forms to measure burnout within the worklife context. Burnout is a syndrome of emotional exhaustion, depersonalization, and reduced personal accomplishment that can occur among individuals who work with people in some capacity. A key aspect of the burnout syndrome is increased feelings of emotional exhaustion -- as emotional resources are depleted, workers feel they are no longer able to give of themselves at a psychological level. Another aspect of the burnout syndrome is the development of depersonalization, that is, negative, cynical attitudes and feelings about one's clients. This callous or even dehumanized perception of others can lead staff members to view their clients as somehow deserving of their troubles. ... A third aspect of the burnout syndrome, reduced personal accomplishment, refers to the tendency to evaluate oneself negatively, particularly with regard to one's work with clients. Workers may feel unhappy about themselves and dissatisfied with their accomplishments on the job. An excellent review of the implications of burnout on the brain is available from the APS Observer. This article also includes discussion of the MBI and Areas of Worklife Survey constructs in burnout. Which MBI form should I use? The original and most widely used version of the MBI. For professionals in the human services, e.g. nurses, physicians, health aides, social workers, health counselors, therapists, police, correctional officers, clergy, and others focused on helping people live better lives by offering guidance, preventing harm, and treating physical, emotional or cognitive problems. Includes slightly modified wording: instead of referring to “recipients”, the MBI-HSS (MP) uses the term “patients”. Used with educators, including teachers, administrators, other staff members, and volunteers working in any educational setting. Designed for use with occupational groups other than human services and education, including customer service, maintenance, manufacturing, management and most other professions. For adult students such as those enrolled in college and university programs. What is the relationship between the MBI scales? The first phase of research on the phenomenon of burnout involved a lot of exploratory, qualitative field studies, which amassed many descriptions of the burnout phenomenon based on observations, interviews, case studies, and personal experience. Based on this exploratory work, psychometric research was carried out to establish a method for assessing the burnout experience. That research identified three basic dimensions: exhaustion (also described as wearing out, loss of energy, depletion, debilitation, and fatigue); feelings of cynicism and detachment from the job (also described as depersonalization, negative or inappropriate attitudes, detached concern, irritability, loss of idealism, and withdrawal); and a sense of professional inefficacy and lack of accomplishment (also described as reduced productivity or capability, low morale, and an inability to cope). The measure that emerged from that psychometric research was the Maslach Burnout Inventory (MBI), which assessed these three dimensions and has been used in many research studies over the years. The potential of having three interrelated dimensions of burnout was first discussed in terms of a sequence of stages over time. For example, the transactional model of burnout proposed a first stage of an imbalance between work demands and individual resources (job stressors), a second stage of an emotional response of exhaustion and anxiety (individual strain), and a third stage of changes in attitudes and behavior, such as greater cynicism (defensive coping). A process model, which emerged from the earlier qualitative work, proposed a first stage of emotional exhaustion, in response to work demands that taxed people’s emotional resources; a second stage of depersonalization, as people tried to cope by withdrawal and negative, cynical reactions; and a third stage of reduced personal accomplishment, when people began to experience inefficacy and failure. A third approach was the phase model, in which the three burnout dimensions were split into high and low categories, yielding eight different patterns, or phases, of burnout. The phase model hypothesized that cynicism is the early minimum phase of burnout, followed by the additions of inefficacy, and finally by exhaustion. What is noteworthy about all of these early approaches is the explicit assumption that people could experience various patterns of burnout, which might change at different points in time. However, the potential of these varying patterns has not been exploited very much in the more recent empirical literature. If anything, there has been a move towards simplifying burnout to a one-dimensional construct of exhaustion. Exhaustion is often considered the strongest, primary element of burnout, and thus a suitable proxy for the entire phenomenon. A single dimension is easier to measure, and exhaustion is easier to fit within existing systems of medical diagnosis and disability. But a focus on just exhaustion may ignore other aspects of the burnout experience, which go beyond chronic fatigue. People experiencing burnout are not simply exhausted or overwhelmed by their workload. They also have lost a psychological connection with their work, which has implications for their motivation and their identity. The cynicism and inefficacy aspects of burnout capture both people’s disaffection with work and a crisis in their work-based efficacy expectations. The three dimensions of exhaustion, cynicism and inefficacy do not always move in lock-step, which means that they are not so highly correlated as to constitute a single, one-dimensional phenomenon. The advantage of such distinct, but interrelated, burnout dimensions is that there could be several different patterns that are shown by people at varying times. In some instances, due to situational factors or personal qualities or their interaction, distinct patterns could emerge. Identifying these intermediate patterns would allow a clearer definition of the entire territory between the negative state of burnout and the positive state of engagement. For example, it may be that some people maintain a neutral stance towards work, experiencing neither joy nor despair. The exceptionally motivated condition of engagement might stand in contrast to both a humdrum existence as well as to chronic distress. Other person-centered patterns may identify distinct forms of distress, of which burnout represents only one particularly grievous state. Some progress on this point has been made by contrasting burnout and engagement with workaholism, suggesting the potential for further conceptual development. Why isn’t there a single burnout score, or can I just use the Emotional Exhaustion scale? The Emotional Exhaustion dimension captures the problem of lacking sufficient energy to make a useful and enduring contribution at work. But it is the Cynicism (Depersonalization) dimension that captures the difficulty in dealing with other people and activities in the work world. Furthermore, Professional Efficacy captures the self-evaluation people make regarding the value of their work and the quality of their contribution. To ignore these core aspects of the burnout experience would truly be a “misdiagnosis” that could have important ramifications for both policy and practice. New research has begun to focus on an innovative use of the three burnout dimensions, which allows for multiple distinct patterns along the Burnout-Engagement continuum. In addition to the two standard endpoint patterns of burnout (high in Emotional Exhaustion and Cynicism; low in Professional Efficacy) and Engagement (low in Emotional Exhaustion and Cynicism; high in Professional Efficacy), this approach can identify people who are only experiencing one of the dimensions, rather than all of them. A particularly relevant comparison is between people with the complete Burnout profile and those with only high Emotional Exhaustion (the Overextended profile). Research shows that these two patterns are quite different in workplace experience, so it is clear that exhaustion alone is not a proxy for burnout. Instead, the Cynicism-only profile (Disengaged) comes closer to the negative endpoint of Burnout which suggests that cynicism may be more a core part of burnout than is exhaustion. Cynicism is more clearly linked to the job environment, with poor quality of social relationships at work and lack of critical resources, which lead to reduced job satisfaction and poor job performance. Can I use cut-scores to identify a state of burnout? The MBI was developed as a research instrument to assess burnout as a continuum, ranging from low to high, on three different dimensions: Emotional Exhaustion (or Exhaustion*), Depersonalization (or Cynicism*), and reduced Personal Accomplishment (or reduced Professional Efficacy*). The MBI can be used to assess the patterns of burnout within a particular group or individual. For example, it can be used to assess the patterns of burnout within groups of physicians. However, the research perspective of a continuum is fundamentally different from that of a practitioner who views burnout as a discrete state – either someone is burned out, or is not. The perspective that burnout is a dichotomy makes it more like a medical disease, rather than a continuum of experience. This practitioner perspective has led people to want a measure that will provide a dichotomous “diagnosis” of burnout. The challenge has been to identify how to translate the continuous scores of a research measure into a dichotomous burnout classification. As an analogy, what is the temperature on a continuous thermometer scale that signals the presence or absence of fever? For burnout, what is the pattern of MBI scores that predict certain diagnostic criteria (such as impaired work performance, or absenteeism, or poor health)? Unfortunately, such diagnostic criteria have not been well-specified, so the necessary clinical research has not been done. However, researchers in the Netherlands have used work-related neurasthenia as the equivalent of clinical burnout, and have established that high scores on two of the burnout dimensions (Emotional Exhaustion plus one other) are correlated with high scores on neurasthenia. One approach has been to simplify the MBI assessment by using only the Emotional Exhaustion dimension. However, this simplification runs the risk of converting the phenomenon of burnout into exhaustion alone, and ignoring the relevance of depersonalization and professional inefficacy. Cut-off scores set up to identify which people are “high” in burnout were published up through the third edition of the MBI Manual (published in 1996). In the 2016 publication of the MBI Manual 4th edition, the cut-off scores were removed due to having no diagnostic validity. The previously published cut-off scores were arbitrary. “High”, “moderate”, and “low” classifications were calculated by splitting the normative population into thirds – where a person was considered “high” in emotional exhaustion simply because they scored in the upper third percentile of the population. The upper third of a large population is not a definition of people experiencing a severe case of burnout. The MBI authors realized that the cut-offs were problematic and a “mistake”. For this reason, the cut-offs were not published in the MBI Manual fourth edition and were removed from all associated MBI materials. Research published in 2016 by MBI authors Michael Leiter and Christina Maslach explored the use of Burnout Profiles to identify patterns of the burnout experience. The profile types are Engaged, Ineffective, Overextended, Disengaged, and Burnout. The goal with these profiles is to inform the design of burnout interventions. For example, someone who matches the Ineffective profile is experiencing loss of confidence in their abilities and may need a solution involving more recognition for their good work. Whereas someone who matches the Overextended profile is experiencing exhaustion that may be due to long work hours or disruption and may need a solution involving workload or resource maintenance. These critical boundaries are dependent on the population norms for the group. Therefore, profile categorization for an individual may differ slightly based on the population used in the critical boundary calculation. Individuals should review all profile descriptions and use their profile categorization as a reference point to define their burnout experience and plan burnout interventions. Reference: Leiter, M. P., & Maslach, C. (2016). Latent burnout profiles: A new approach to understanding the burnout experience. Burnout Research, 3, 89-100. **The profiles have undergone validation for the MBI-GS only (Leiter & Maslach, 2016). Since the MBI-GS scales are highly correlated with the other MBI scales, Mind Garden uses the calculations above to categorize participants on the MBI-HSS, MBI-HSSMP, and MBI-ES. How do I calculate critical boundaries for the Burnout Profiles of my group? Why do I need to look at the person’s life context and not just their burnout level? We would caution you not to focus on just the MBI scores alone. The MBI is a research measure from which we can learn about the causes and outcomes of burnout, but it is not a clinical diagnostic tool. Research on burnout risk factors (e.g., inadequate staffing for the number of patients), or research on burnout likely outcomes (e.g., patient dissatisfaction, higher rates of patient mortality and in-hospital infections) is what is most significant. The Maslach Burnout Toolkit, which combines the MBI with the Areas of Worklife Survey (AWS), is a particularly powerful tool for assessing the workplace context and what attributes might be driving burnout: e.g., workload, control, reward, etc. 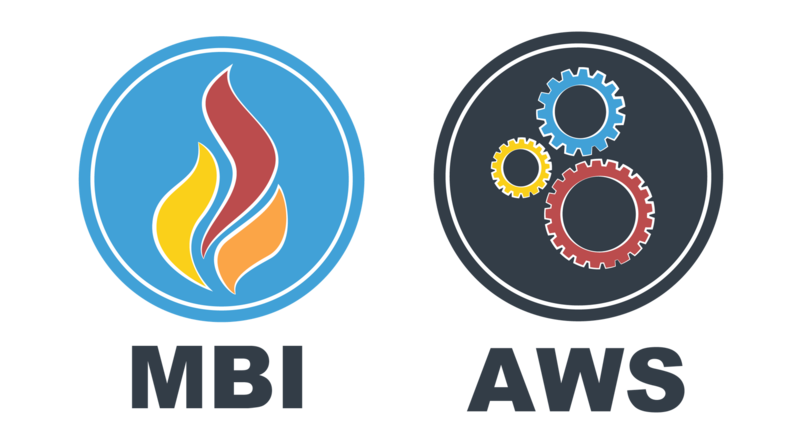 The AWS was designed as a companion piece to the MBI. Online survey and reports for the Maslach Burnout Toolkit are available from Mind Garden. How can burnout be prevented or reduced? The MBI Individual and Group reports include some suggestions for easing burnout and the combined reports with the Areas of Worklife Survey include suggestions for changing aspects of the work environment that might contribute to burnout. Demerouti, E. (2014). Individual strategies to prevent burnout. In M. P. Leiter, A. B. Bakker, & C. Maslach (Eds.). Burnout at work: A psychological perspective (32-55). London, UK: Psychology Press. Gaither, C. (2018). Reignite: From Burned Out to On Fire. Lifestyle Entrepreneurs Press. Leiter, M. P., & Maslach, C. (2010). Building Engagement: The design and evaluation of interventions. In A. B. Bakker and M. P. Leiter (Eds. ), Work Engagement: A handbook of essential theory and research (164-180). 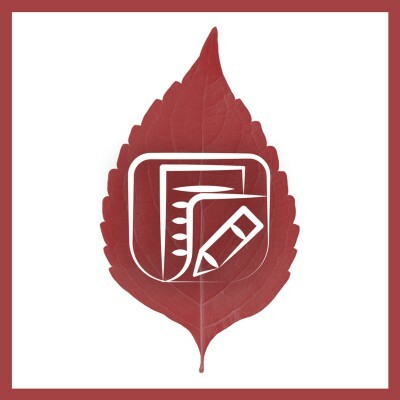 New York, NY: Psychology Press. Leiter, M. P., & Maslach, C. (2014). Interventions to prevent and alleviate burnout. In M. P. Leiter, A. B. Bakker, & C. Maslach (Eds. ), Burnout at work: A psychological perspective (145-167). London, UK: Psychology Press. Maslach, C., & Goldberg, J. (1998). Prevention of burnout: New perspectives. Applied and Preventive Psychology, 7, 63-74. Maslach, C., & Leiter, M. P. (1997). The Truth About Burnout: How organizations cause personal stress and what to do about it. San Francisco, CA: Jossey-Bass. Maslach, C., Leiter, M. P., & Jackson, S. E. (2012). Making a significant difference with burnout interventions: Researcher and practitioner collaboration. Journal of Organizational Behavior, 33, 296-300. What is the General Population Norm in the MBI-HSS and MBI-HSS (MP) reports? The MBI "General Population Norm" that is referenced in the MBI-HSS and MBI-HSS (MP) Individual and Group Reports includes frequency scores from a general population of 11,000+ people in the human services professions. Occupations represented include: 4,163 teachers (elementary and secondary, grades K-12); 635 post-secondary educators (college, professional schools); 1, 538 social service workers (social workers, child protective service workers); 1, 104 medical workers (physicians, nurses); 730 mental health workers (psychologists, psychotherapists, counselors, mental hospital staff, psychiatrists); and 2,897 others (legal aid employees, attorneys, police officers, probation officers, ministers, librarians, and agency administrators. What are limitations and issues with using abbreviated forms of the MBI (e.g., 2-item MBI, 9-item MBI, etc.)? Using only a few MBI items produces greater measurement error, reducing confidence in burnout findings. Using only a few MBI items reduces the sampling of the burnout construct. Using only a few MBI items reduces reliability. Inferences about results should only be drawn from a large number of people, and individuals should never be assessed with just a few items. Each MBI item provides only 6 intervals between scores, whereas a five-item scale provides 30 intervals. Results from studies using only a few MBI items may lack validity and reliability. Using only a few MBI items does not permit profile analysis. Profiles are the result of extensive research on MBI scales. The profiles are predictive and descriptive, and they provide additional meaning. Using only a few MBI items may not adequately measure the three MBI scales. Using only a few MBI items precludes normative comparisons with previous research. Using only a few MBI items precludes normative comparisons with data in the MBI Manual. Defining a high level of burnout is problematic when using only a few MBI items. As with the MBI scales, the scores of only a few MBI items cannot be combined to produce a single composite burnout score. In situations where minimizing the MBI item count is important, researchers are encouraged to consider using the MBI General Survey (16 items). The organizational context of burnout. Recognized for more than a decade as the leading measure of burnout. The MBI assesses professional burnout in human services, education, business, and government professions.